Happy Tuesday Folks! I had every intention of posting since last week's post, however I was on a beading tear! And of course there was work. And beautiful weather. And putting up the metal frame pool. And so on and so on! In any case, I did a “Pay It Forward” post a few months ago and had a bunch of lovely ladies comment! And although the 'rules' say you can send a handmade item some time in 2011, I was feeling the pressure to get my PIF items out soon! So be patient my PIF participants - your packages will be in the mail very soon! I would love any feedback from anyone if you have any suggestions or ways that would encourage you to participate! Should I do more than one color? Only one color? Should I have the reveal take place more than three weeks after I announce the color? Or should the reveal take place sooner than that? Was there too much color chatter? Not enough? Just right? Let me know what you think! This round of What's It To Hue I am featuring the color purple. I have a handful of purple shirts but realized I don't have a lot of purple accessories! So this will be a perfect way to start rockin' some purple! 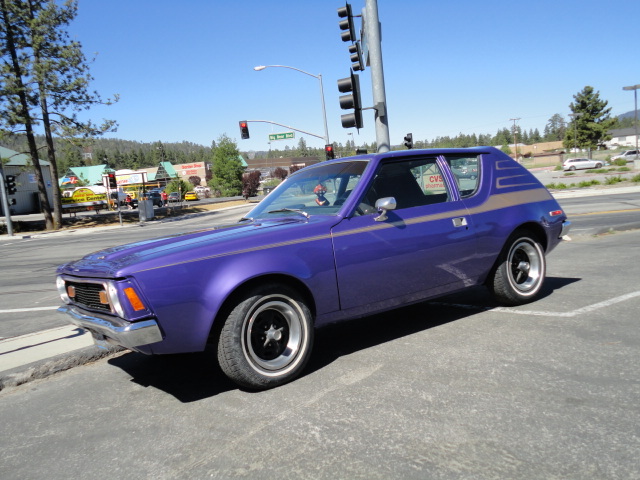 A purple Gremlin. I distinctly remember how funky the door handles were. And for some reason, my only other memory of this car is that we were once in a fender bender and my knee when right through the passenger front seat and I punctured my skin with some loose wire in the seat. Weird I know. I must've only been around 6 or so. Back in 2008, I worked as a sales rep for Megafood, a whole food supplement company. One of their products is Liver Strength – although it used to be called Purple Reishi Antler, because it is made primarily of Reishi Antler (a prized mushroom known for it's unbelievable medicinal benefits having been used for over 2000 years). 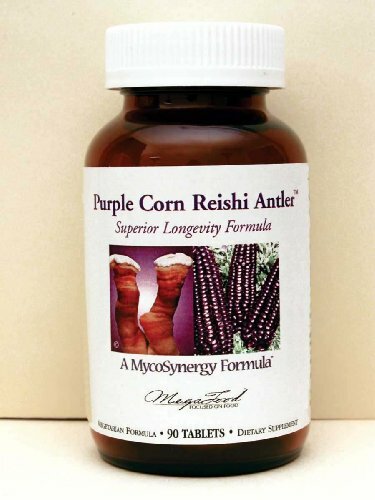 At Megafood, they use Reishi that has been grown on purple kculli corn. 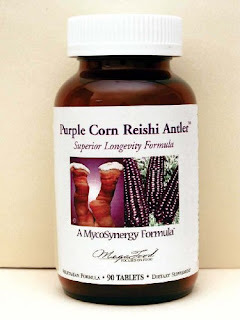 And here's the thing – when you grow Reishi it sprouts antlers once and a while, however, when you grow it on purple corn, it sprouts the antlers almost all the time. I loved that. That little comment has stayed with me for years! And I think of it all the time when I put on a purple shirt! 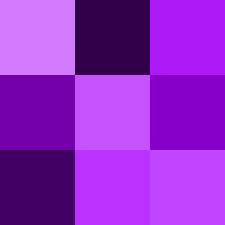 So this round of What's It To Hue will be purple. Make anything you like that is purple and we'll have a reveal on July 5. In the meanwhile – I came across this very cool little site on testing your HUE IQ! I didn't score very high (my excuse is the overbearing sun lighting in the room that day) But it sure was fun! Labels: What's It To Hue? 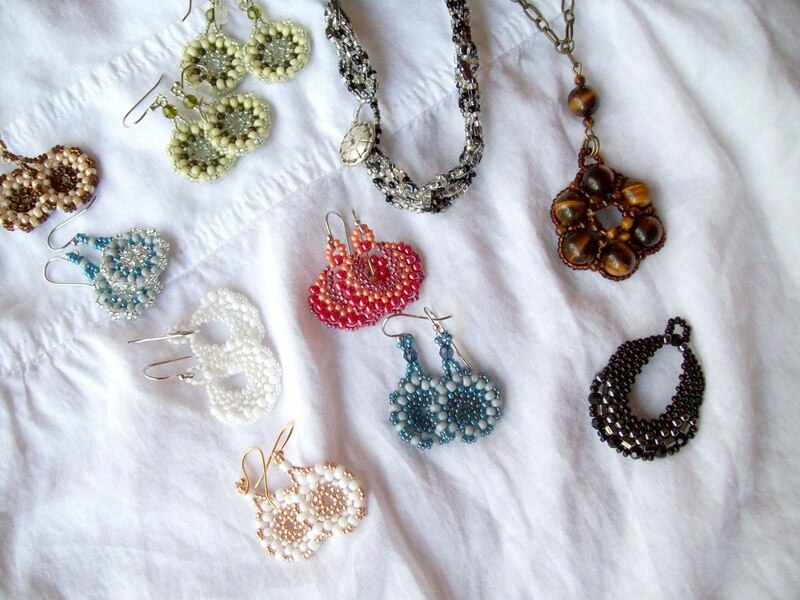 Your earrings are AWESOME! I need to check out your 'hue' challenge. I'll go back through your posts since this post doesn't really explain it.